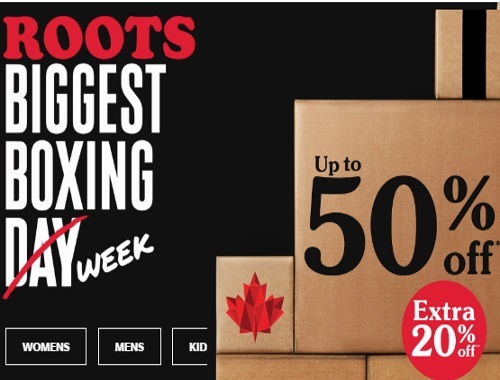 Roots Boxing Day is all week long long and is supposedly the biggest ever! Save up to 50% off select sale styles plus get an extra 20% off! Offer is valid until January 2, 2017.